The average weight loss among articipants on the ‘Get Healthy’ programme is 2lb per week. The clinic is owned by Caroline Brosnihan, who explained that Get Healthy was launched just before Christmas. The six-week programme is a dietitian-led weight loss plan, which aims to, firstly, help participants lose weight and, secondly, provide clients with the tools they need to continue to maintain their weight loss. “This programme is tailored to suit individual needs,” outlined Ms Brosnihan. “Get Healthy has no gimmicks. It is all about eating normal food, weight loss, and sustainable results, helping clients to maintain their weight loss and prevent weight regain. Each appointment is one-to-one, private and confidential,” she said. Ms Brosnihan facilitates private one-to-one consultations to help tailor an eating plan for each client’s individual needs and monitors his/her progress each week, at a convenient time. 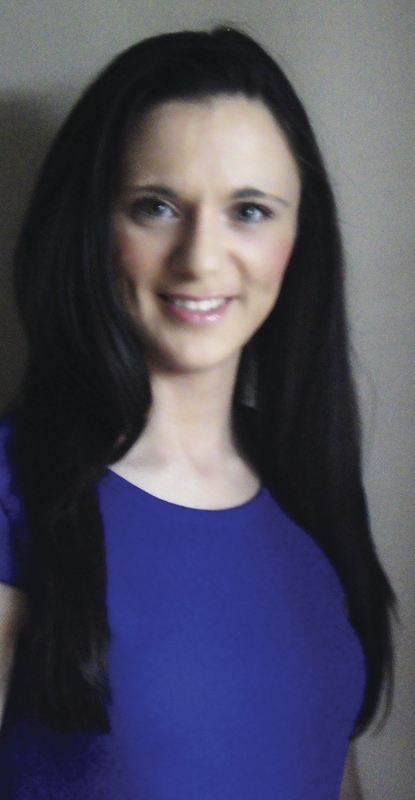 Ms Brosnihan is a member of the Irish Nutrition and Dietetic Institute and specialises in weight management, digestive issues, and sports nutrition. The Get Healthy weight loss programme includes six one-to-one, private and confidential consultations with a dietitian. Each appointment focuses on a different topic, such as breaking bad habits, dealing with cravings, understanding food labels, portion control, and getting a healthy balanced diet suited to your needs. The six-week programme is now available at the special offer price (when booked in January 2015 ) of €180 (saving €40 ), which includes all six private, one-to-one, appointments with a dietitian, a weight loss booklet, weekly weigh-ins, measurements and blood pressure measurement. Ms Brosnihan qualified with a first class honours Bachelors Degree in nutrition and dietetics and has a postgraduate certificate in applied sports nutrition from St Mary’s University, Twickenham. Ms Brosnihan is also a qualified counterweight practitioner, which is a long term weight management programme that is also available at her clinic. Some of the other reasons for booking an appointment with Ms Brosnihan include; weight management, osteoporosis, high cholesterol, high blood pressure, digestive issues such as irritable bowel syndrome, sports nutrition, and Type 2 diabetes. The Connacht Nutrition and Dietetic Clinic also provides corporate services such as workplace health promotion and group talks for women’s and men’s clubs, fitness centres and schools. To book an appointment, contact (086 ) 4006654 or fill in the online booking form at www.cndc.ie Alternatively, email [email protected]. For further information, you can also visit the Facebook page at Connacht Nutrition & Dietetic Clinic or follow the clinic on Twitter at @DietitianCNDC. Why wait to the New Year to start your resolution?